NEW ORLEANS, LA -- A New Orleans judge has accepted Robert Durst's plea deal on a weapons charge. Durst will serve 7 years and one month in prison on the charge that's kept him in Louisiana pending a murder trial in California. Judge Kurt Engelhardt approved the sentence which Durst, 72, accepted as part of his guilty plea in February. 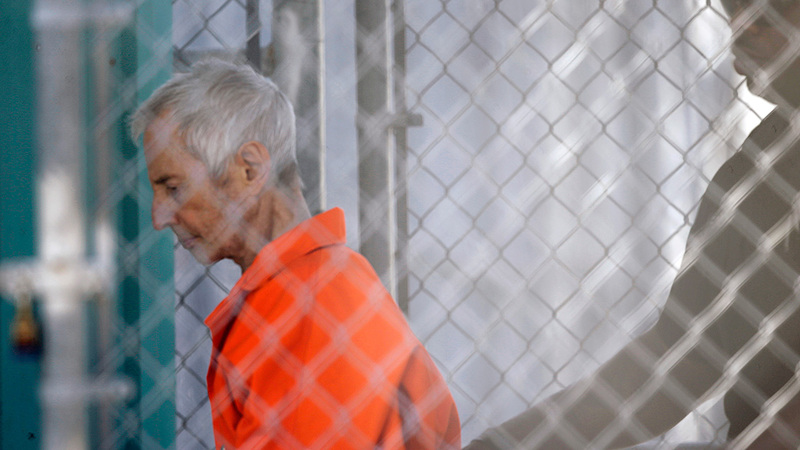 Robert Durst plea deal could clear way for murder trial, Pooja Lodhia reports. Ten years and a $250,000 fine would be the maximum sentence for illegally carrying a .38-caliber revolver after being convicted of a felony. Durst is charged in Los Angeles with killing his friend Susan Berman in 2000 to keep her from talking to New York prosecutors about the disappearance of Durst's first wife in 1982. His attorneys have said repeatedly that he's innocent, doesn't know who killed Berman, and wants to prove it. A fugitive real estate heir has pleaded guilty in Louisiana to a weapons charge and has agreed to a sentence of seven years and one month imprisonment. The most recent such statement was in a motion filed Monday asking U.S. District Judge Kurt Engelhardt to recommend that Durst serve his time at Terminal Island, California, about 30 miles from downtown Los Angeles, because it's near where Durst faces trial and it has medical facilities Durst needs because of his "advanced age and serious health considerations, including mobility challenges."